Homogeneous vinyl floor covering is made of one single layer that offers vibrancy and depth of the colour. The heterogeneous flooring on the other hand, is a multi-layer flooring which comes in wide variety of beautiful patterns with endless design possibilities. This feature gives a feel and a look of natural flooring materials. 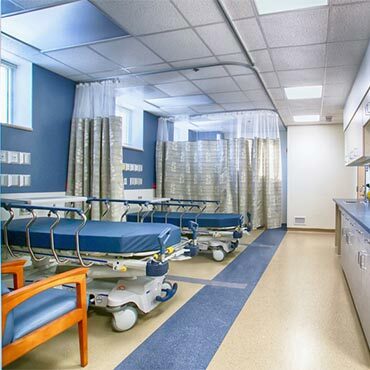 Heterogeneous flooring also offers low maintenance cost, which is why is primary choice of homeowners, health care facilities, schools, etc.